This is the front and back of the troublemaker, and the other two. Edited by stalyun, 15 June 2016 - 11:54 PM. Wow... lot's of detail. I can kinda see now, how there could be an attraction. Thank you for posting them. So what have you decided to do with the mugs? Yep, looks just like it. Stalyun... Have you considered any of the things I suggested? For example, leaving the one cup out in the open... and on display? And lastly, is there any recent activity? I only brought them in long enough to snap some pictures and then put them back in the shed. The shed's already a mess, so if anything else has happened, I didn't notice. And I'm not so sure about bringing them back in and putting them on display after everything that's happened. I'm probably just going to get rid of them, after I decide the best way. Fair enough... thanks for the report. I don't think all of the copies of these mugs, may contain a spirit attachment. Perhaps, it had something to do with the previous owner of the kind of active (Knight) mug. Edited by Hudds, 16 June 2016 - 03:44 PM. I think it's just the one mug too, Hudds. There's no evidence of the others having any activity. Stalyun.... so if someone here on the forums offered you $40 including shipping, would you take it? And I would hope after the buyers investigation, they would allow the mug to be displayed. That's all it really wants, obviously. Oh, and if someone here were to buy it, we could continue to be informed during the investigation. I agree, those mugs are neat! I've been trying to figure out the best thing to do, but I'm still undecided. Naturally, if I'm going to get rid of the mug, the smart thing to do would be to sell it, instead of throwing it away. But just when I think I'm ready to sell it, the "what ifs" start popping up. Like, what if I sell it and the buyer's not happy with it? What if the buyer expects it to jump off a shelf, or do some other weird thing, and it doesn't? What if it just sits there? Or what if the buyer's house gets trashed, or the buyer gets hurt? And I understand the point of adding a disclaimer, to protect both me and the buyer, but it still bugs me. Especially the part where the buyer could get hurt. You have to remember, I'm still pretty new to all this stuff. If you'd asked me a few weeks ago if a mug could jump off a shelf or turn on a light, I probably would've said "only in the movies". But now I'm doing searches about haunted objects and talking to you guys about it. I'll make up my mind eventually. But first I have to be certain that, whatever I end up doing, I'm doing the right thing. I don't want to see anyone get hurt, just because I'm ignorant about all of this stuff. Like I said... you sell it to a person that wants a haunted item... and one that is able to spiritually protect himself and his household. I'm sure Tantric Kitten would be able to write up some instructions on protecting ones household. You could then pass on the instructions to the new buyer. But personally, I think the only one that might suffer a bit by all this is the person that locks the mug up in a shed. Is there something else about the mug or recent conditions at your home that you're not telling us about? I personally bought a doll from a man in Florida that had buried it in his backyard. It had caused him a few very scary experiences. He asked me if it was safe to leave it buried. Then he mentioned that a swamp rat was found dead on the burial site. And his dog would no longer go near the area where the doll was buried. He was more than a little frightened. I told him, you're just upsetting the attached spirit by burying it. And the this spirit is still hanging around (or I said something to that affect.) I mentioned to him that he needs to un-bury the doll and get it off his property. I told him to send it to me and I would give him $60 for his trouble. 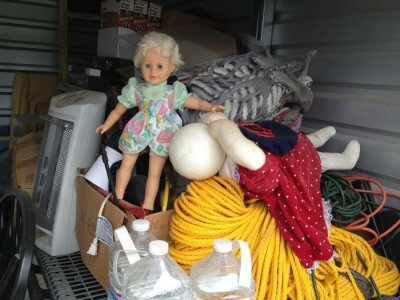 The doll now lives in a storage unit 2 miles from my house. 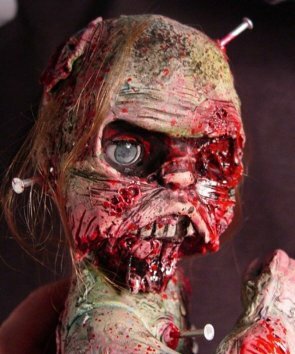 And the reason it's in a storage unit is because the owner wanted to carve it up into a horror doll and sell it for $200 (I bought one of those too)... and It rebelled (the attached spirit). I can't trust it completely, so now it's perfectly happy and free from threats. And eventually, I'll find someone that wants to display it. You might also do what Tantric Kitten suggested. Bury the mug in salt. And clear and cleanse the mug of all it's energy. Not sure what that means or how it works, so another question for Tantric. I would only suggest you don't leave it in the shed to long. Burying it in salt and "purifying" it would clear it of any energy. That might stop the haunting especially if it's residual energy and not an entity hanging around with it. If it's a person it's a little more tricky. You don't know if it's a nice person or not and you really don't want ghosts hanging around because no matter how nice they are it's hard to keep the atmosphere positive around them. There's nothing to lose by clearing them like that except a couple bucks in rock salt. There's a few options open to you, so I hope you keep us updated and let us know what you decide to do! I can understand the concerns you have of the potential new buyer, of these apparent haunted item/s, and yes their is a chance that the active (Knight) mug may not show similar signs, as what you experienced when they were in your home, and now in the shed. The extent of any haunting activity, can greatly depend on people. 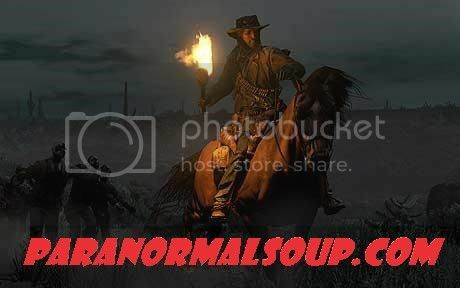 Spirits do seem to work as almost like us humans do, they first try to figure us out, and this process could be for a very short while, or maybe longer depending on their target. Then, they slowly start their activity, which can gradually increase as time goes by, as they figured you out completely. In kind of a summery. Spirits focus their activity based on people in their surroundings. The easier a person is to play tricks with, confuse, manipulate or deceive, the more activity, and presence of the entity is likely to be experienced. Stalyun, I am sure the potential new buyer is aware of what to expect, and what perhaps not. Upon receipt of the item. It is best to remove those mugs from your shed, and property as kindly suggested. Edited by Hudds, 17 June 2016 - 04:44 AM. Thank you for chiming in, Hudds... excellent counsel, and analysis of the situation. I loved what you mentioned about... the situation depends on the target, so true! By the way... in my story of the haunted doll in post #34 above, I neglected to state why my doll is sentenced to a storage unit. So I went back and edited. Here's my cute little haunted doll that lives in my storage unit. She was meant to be converted to look similar to the one on the right. And here's my little horror doll that I also bought (not haunted). You would think that the horror doll would be the haunted one, but not so. What does she do Jim? What's her story?